They were good, if I ever have a need, they are my people. Use them, they are reliable. They were super communicative and prompt. I had them hook up an electrical lift at a building. I didn't do anything direct with them, it was all over the phone. I was happy. I was happy, don't worry. 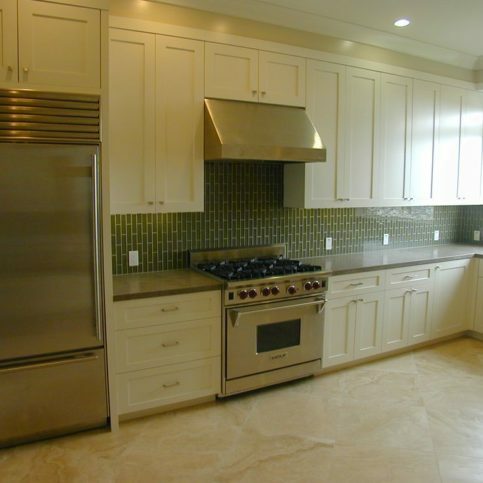 REFCorp is a full-service electrical company with more than 20 years of experience in providing superior craftsmanship throughout San Francisco. The company offers a wide variety of electrical services and can assist residential and commercial clients with nearly any problem. Its clients are homeowners, business owners, commercial property owners, property managers, school districts, realtors, home warranty companies, professional and retail establishments, HVAC contractors, commercial contractors, sign companies, and more. “We have the knowledge and expertise to handle everything from outlet installations to light fixture repairs to complete electrical rewiring for all types of projects,” says President Rodney Fite. REFCorp’s experience working on San Francisco’s unique homes creates a distinct advantage when it comes to troubleshooting vintage electrical systems and installing new lighting. 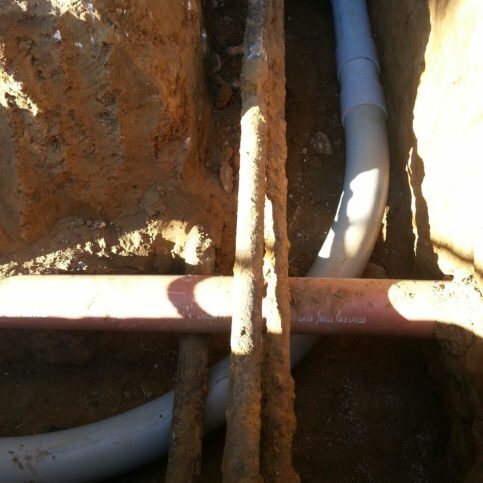 “Some non-local electricians are surprised by how different things are here, but this is what we do every day, and that definitely gives us an advantage,” affirms Mr. Fite. REFCorp has been providing electrical services for residential and commercial clients throughout San Francisco since 1994. The company has the in-house capabilities to handle everything from outlet installations and light fixture repairs to complete electrical rewiring for construction projects, and it also works with property managers to provide periodic maintenance of security lighting, smoke detectors, and alarm systems. 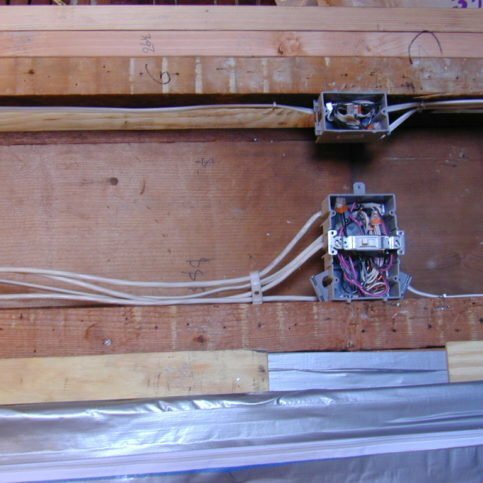 If you’re looking to upgrade the fuse panel in your San Francisco home, be aware that municipal requirements may complicate matters. Q: What type of lighting should I install in my home? A: In most cases, we recommend LED lighting. In addition to being far more energy-efficient than conventional incandescent bulbs, LED bulbs have a much longer lifespan, so they rarely need to be changed. Q: Should I have my old Federal Pacific electrical panels replaced? A: Definitely. Besides being outdated, Federal Pacific panels have been known to be defective and pose fire hazards, so we recommend having them replaced as soon as possible. Q: What is arc fault protection? Should I have it installed in my home? A: An Arc Fault Circuit Interrupter (AFCI) is designed to detect arcing faults in wiring, appliances and equipment, with the goal of preventing electrical fires. As with any application that improves safety in the home, we recommend getting arc fault protection. Q: Do I need to get a permit for my electrical job? A: We definitely encourage you to obtain a permit for electrical work—it’s better for everyone’s protection. Q: Should I upgrade my smoke and carbon monoxide detectors? A: Yes, we recommend upgrading to the latest model of smoke and carbon monoxide detector in your home or rental property. Equipped with tamper-proof, 10-year batteries, today’s units improve safety by preventing the dangers posed by dead or missing unit batteries. 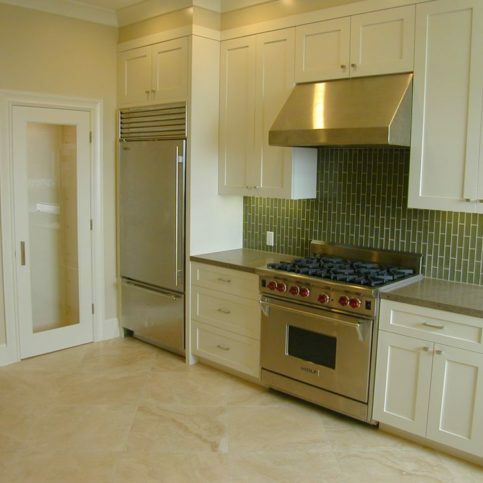 REFCorp installed the undercounter and recessed LED lights in this kitchen. 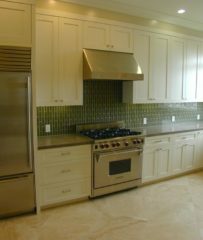 REFCorp worked on the illuminated pantry in this kitchen. REFCorp ran wiring in these walls and installed receptacle boxes. 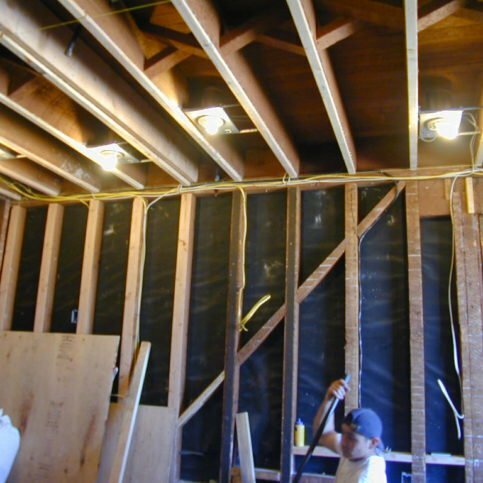 REFCorp placed recessed lights in this ceiling framing. REFCorp prepared this trench for new electrical service. REFCorp can work around existing utilities. Rodney Fite is president of REFCorp, a Diamond Certified company. He can be reached at (415) 735-0935 or by email. Outside of work, Rodney spends his free time on a variety of active pastimes. “I have three favorite hobbies: flying, cycling and hiking,” he details. “Flying has been a passion of mine since I can remember—I got my pilot’s license when I was 18 and continue to fly regularly today. I also enjoy mountain and road biking, as well as hiking all around the Bay Area.” Additionally, Rodney likes to stay in touch with his daughter, Nicole, who is currently attending college. A: Rock climbing. It was a long time ago and I don’t remember where I was, but I remember constantly thinking I was going to die…which is kind of funny, considering how much I love flying. A: Biographies and suspense thrillers. SAN FRANCISCO — If you own a home in the Bay Area, make sure you know what’s in your breaker box. A lot of Bay Area homes have outdated electrical components, and in some cases this can represent a fire hazard. One example of this is Federal Pacific circuit breakers, which were widely used from the 1950s until the 1990s, when it was determined they were prone to malfunction. However, despite being discontinued, Federal Pacific breakers can still be found in many Bay Area homes today. In terms of everyday functionality, Federal Pacific breakers don’t have a lot of issues—what makes them dangerous is their potential failure to detect problems. Normally, if a circuit overloads, a breaker will detect the issue and “trip” or shut off power to the circuit. When a breaker fails to do its job, the circuit can continue to overload and potentially start a fire. Over the years, Federal Pacific breakers have earned a reputation for their propensity for failure, which has been cited as the cause of multiple house fires. To ensure your home isn’t at risk for such failures, check your breaker box to see what’s inside. Federal Pacific breakers can usually be identified by their orange or red tips, which display black digits; however, some have black or brown tips with white digits. Of course, if your panel box says “Federal Pacific” on the door, that’s a dead giveaway. If you discover Federal Pacific breakers in your electrical panel, you should address the situation as soon as possible. One good option is to swap out the old breakers with new replacement breakers, which removes the threat of fire without requiring replacement of the entire panel. Keep in mind that you shouldn’t try to replace circuit breakers yourself, especially since some wires can’t be disconnected from power. Leave it to a professional electrician. SAN FRANCISCO — Host, Sarah Rutan: If you’re unsure whether you have Federal Pacific circuit breakers, don’t wait until a fire starts to find out. To learn more, we’re in San Francisco with Mario Ibarra of REFCorp, speaking on behalf of Diamond Certified Expert Contributor Rodney Fite. Mario Ibarra: Here, I have some Federal Pacific breakers. 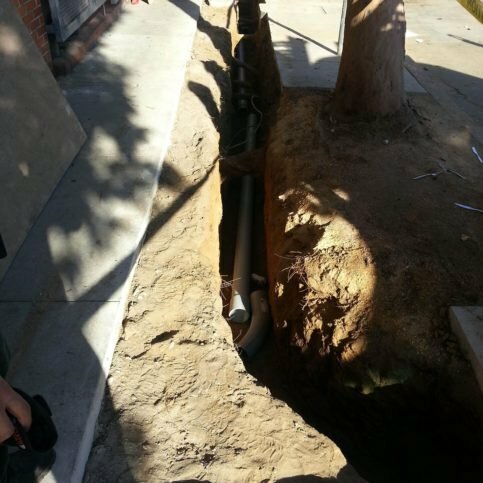 These are common breakers that you see at all homes here in San Francisco and in many other cities that we’ve worked in. These breakers – they’re really old school. They don’t give a lot of issues, but that’s basically one of the problems that these breakers have. If there’s an issue with old wiring or something going on at your home, they won’t give you any warning. They will not turn off power or will not shut anything off. The way you can tell what kind of breakers you have at home, it’s just – can open up your panel cover, and you’re going to see small handles with numbers on them. Now if you see red numbers with red handles or white letters – like this one – and markings that show old-school breakers, you might want to get an electrician to get that panel checked out. Now if you do have this inside your panel, there’s an easy solution for this. They do make these breakers. They’re not quite as small, but they are a lot safer, and they will shut off power if something’s wrong at your home. Don’t try to do this work at home; it’s very dangerous. You will not be able to turn off power to some of these wires. So, you don’t want to be risking anything. You don’t want to risk your own safety or other people’s electrical power. So, if you do feel like you have old breakers, give us a call or give any electrical company a call and let them know what’s going on so they can come check out your panel and make sure that you’re safe at home. REFCorp : Average 9.4 out of 10 based on 100 unique customer surveys of customer satisfaction. Just that they were responsive, their scheduling was great, they had good follow-through, good updates, and all that. They were great. Just that they were on time, they had great customer service, and very responsive. That is what I look for in a vendor for our HOAs. We thought they did a great job. They are conscientious about quality and schedule, the other thing I would say is that I wouldn't use them on larger project, but rather smaller projects. They are professional, they are good at what they do. They are official, pretty good company. I have worked with them on a few project, they are good. Definitely use them. They are professional, courteous, and they are great with suggestions as far as coming up with alternatives. I would let them know they are very professional. I have used them in both my medical office and home. They are very knowledgeable. I would honestly have to mention the knowledge, but everything was great. We didn't have one issue with them. I mean it was some years ago, I don't remember specifics, but they came in got the job done, and they were out. Don't remember much, they were fine. That is all I could tell you. They are our go-to guys for electrical needs. Very good at the service they provide, it is a much needed service, especially in San Francisco. They are just very professional and do their job well. They are very professional and have good technicians. They were knowledgeable, professional and courteous. The trust factor is something I would say. I think they are very reasonably priced, reliable and very knowledgeable. I can't say enough about them, I didn't work with them on anything big or expensive, but they were still great. I would recommend them. Just that the techs nature was accommodating. They are responsive and they do good work. I called and they came out, did good work. It was exactly what I wanted in an electrician.